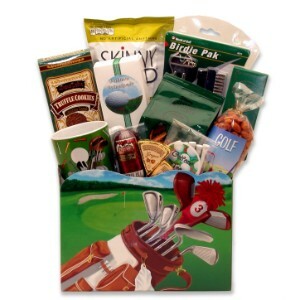 Delight the golfing man in your life with a Golfer's Delights gift basket. This gift is filled to overflowing with treats to eat and treats for the golf course! You'll even find golf-themed treats for the home or office! This is an awesome gift for the golfing father, mother, brother, sister, or for corporate gifting. Truly delighted - that's what your golfer will be with each and every item in this specialized gift basket! Available in two sizes.